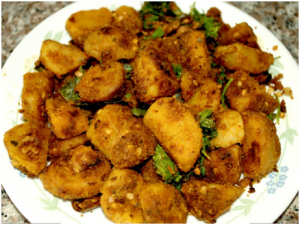 Aratikaya In Telugu is Banana and Vepudu is Fry. 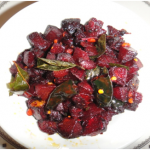 This a recipe which is common in all the South Indian state. 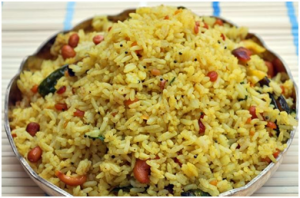 In Andhra it is Aratikaya vepudu in Malayalam it is Ethakka or ka Mezhurukkupuratti, Vazhakkai Podimas or Vazhakkai Poriyal in Tamil and Balekayi Masale Palya in Kanada. 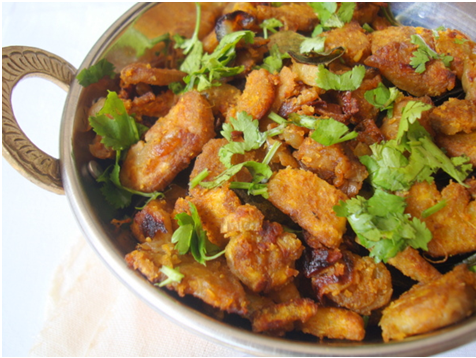 Raw Banana Fry is one of the best and tasty dish than can be used with rice or chapati or rotis. Salt : As per requirement. Select fresh raw banana and clean them. You don’t have to peel the raw banana completely. You can cook it with the peel intact. The onion and green chili also should be cleaned in water. 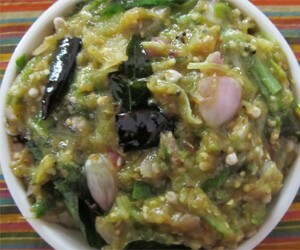 Cut each raw banana into small pieces, and then cut the onions and green chilies into small pieces. 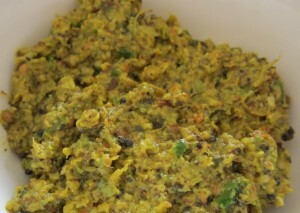 After that, put the sliced onion and green chili into the already fried mixture in the utensil and let the onion fry until they become slight red in color and add turmeric powder. After this, add the already cut raw banana and let them fry for ten minutes. Once the raw banana pieces are fried properly, put required amount of salt, 1 table spoons of red chili powder, and ½ table spoon of coriander powder and mix everything properly. Then, put the stove in simmer position and let it fry for 2 – 3 more minutes. 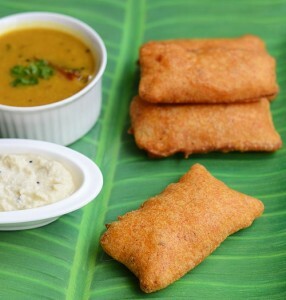 The aratikaya vepudu( Raw Banana Fry) is ready to be consumed hot. 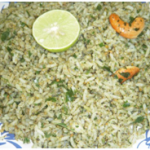 Aratikaya vepudu(Raw Banana Fry) is served with rice during lunch or dinner and also with Chapati. 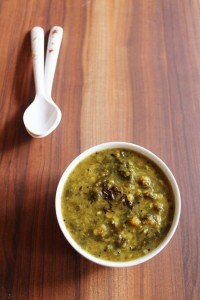 With rasam it tastes awesome. 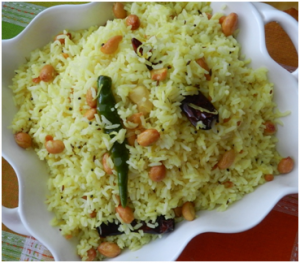 Aratikaya vepudu is served with rice during lunch or dinner and also with Chapati. Again with rasam it tastes awesome. 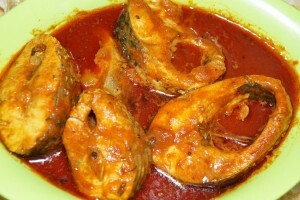 Bananas are one of the very commonly used vegetables in South India.